Latest and Greatest REAL food finds at Costco..... - Real Food. Real Fitness. Latest and Greatest REAL food finds at Costco….. I must say I have never been a huge fan of Costco’s food department. We do have a Costco membership and go here and there for paper products, batteries, along with a few other miscellaneous items. I usually don’t venture much down the food aisles. The mass slabs of factory farmed CAFO (confined animal feeding operation) meats, conventional (pesticide filled) produce, over-sized portions of sweets and pre-made chemical laden meals, frozen packaged processed foods, and extra large boxes of sugary cereals and processed chips and crackers are always not very appealing to me. Actually I see it all feeding into the health crisis we are facing in America, obesity as well as many other chronic illnesses. I understand from a cost perspective people feel they are getting a good deal but I don’t feel its a good deal when you are sacrificing your health in the long run. My personal opinion is to budget for and spend a little more on quality REAL healthier foods and cut back on other areas. With that said I did find some GREAT things at Costco this trip. Fingers crossed Costco may be coming around to healthier options! Ok back to my shopping trip, today I needed mustard and yes I find that a safe product to buy in bulk and one of the few I do! I also found myself pleasantly surprised at what else I stumbled across when I took another look at the food area. Nature’s Way Grains Premium Organic Quinoa. 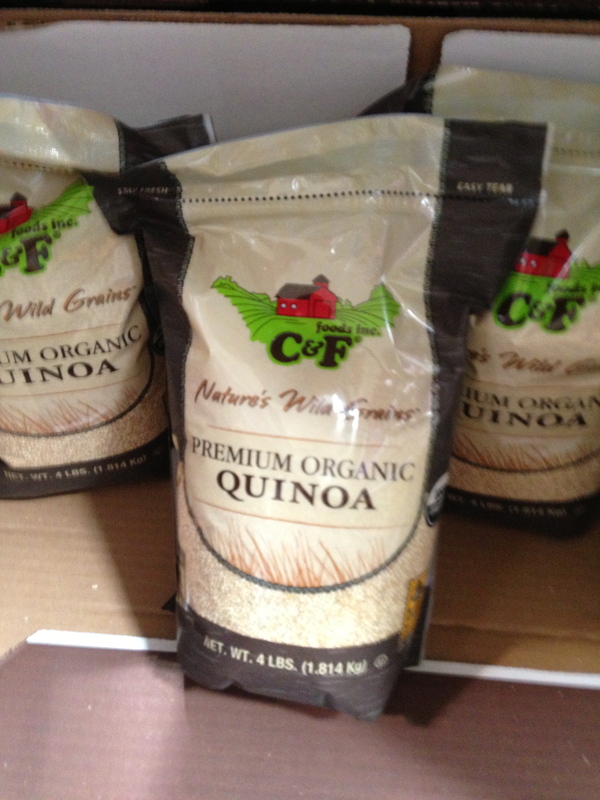 I was shocked to see QUINOA featured right in the middle of the grain aisle. This is great news and hope that people are swapping out processed white flour pasta for this amazing ancient grain! 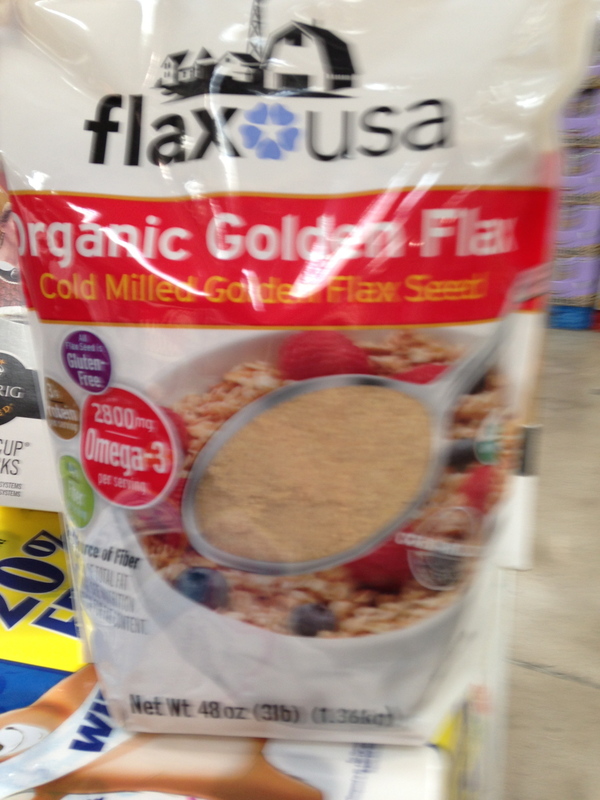 Organic Golden Cold Milled Golden Flax seeds in a 3lb bag! Wowza, very cool for this mom who sneaks in this excellent Omega 3 rich seed into everything and anything I can! Remember to keep these in the freezer so they will last longer and keep the oils from spoiling. 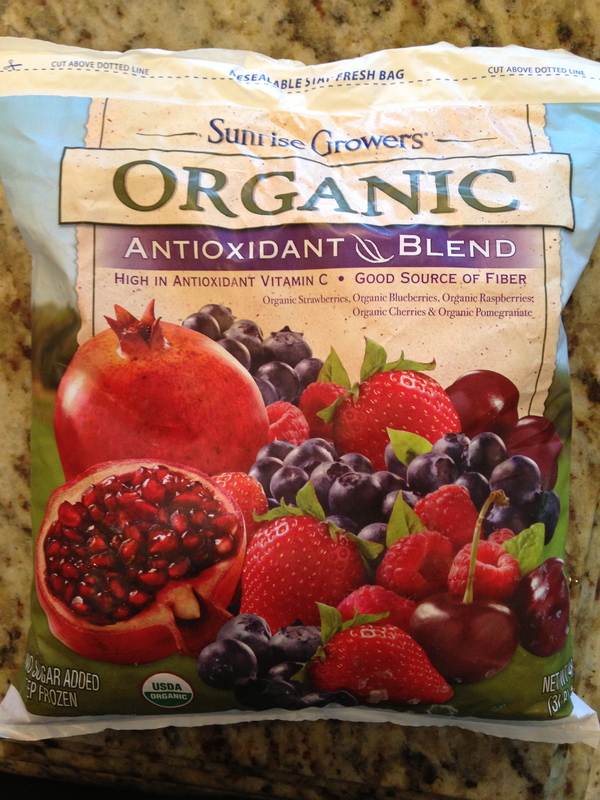 Sunrise Growers ORGANIC frozen berry blend. Can I get a woot woot! and NO extra sugar added like so many companies like to sneak in. Triple stars for this blend that contains not only antioxidant rich berries but pomegranates too! For any of you who have tried to get the little fruits out of a pomegranate you can appreciate this! This bulk bag was not much more cost wise than the conventional fruits and has so much more to offer. 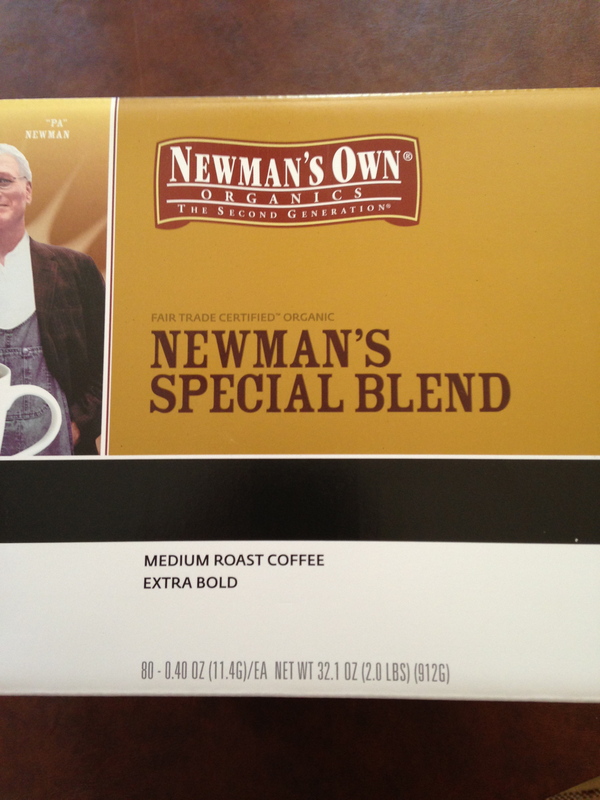 Newman’s Own Organics Special Blend Fair Trade Certified Organic Coffee K-cups. For all you coffee lovers out there (like me) this bulk box is a great find. As I have mentioned before coffee beans are one of the most highly pesticide sprayed crops. If you are going to drink it everyday you should choose Organic to avoid consuming these harmful pesticides. 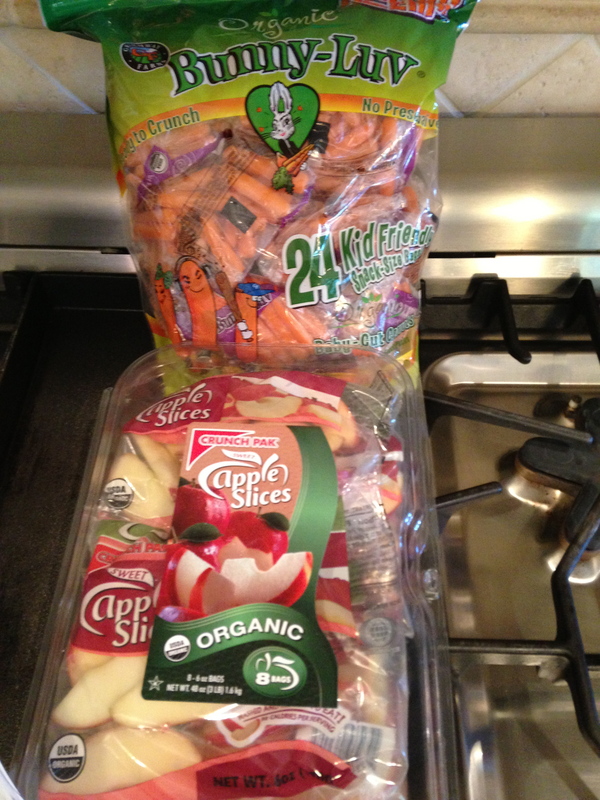 Individual packs of organic baby carrots and organic sliced apple. Usually I prefer to just cut up whole fruit quickly but for convenience purposes these are great to have on hand every once in while when you need a quick snack grab. These are great for the kids and adults too! Oh and lastly was yes of course the Mustard! 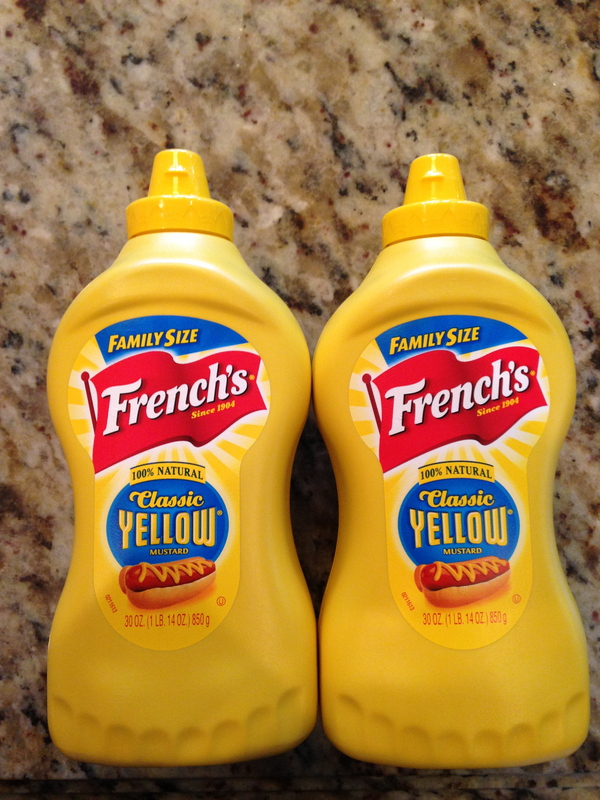 One of the safest condiments (health wise) to buy at Costco in bulk! What do you think about the organic chicken and grass fed beef? Is it a disguise or legit? Its very tricky because there are loopholes in the FDA that state an animal can be labeled “grass fed” even if it has not been 100%grass fed. Many times these animals are started out on pasture but then shipped to factory farms for their last 30 days before slaughter to be fattened up on gmo corn. soy etc. Also the chickens there are NOT pastured which means they are not coming from animals likely able to forage and roam outside as they should. Even organic chickens though they made not have antibiotics are still fed an unnatural diet of gmo corn and soy to fatten them up, they also may have a very small access to the outdoors which because the indoor facility they are kept in is so crammed they don’t really get to the little opening to get out. ITs sad and yes very deceptive marketing. Though organic is better than conventional it still is not the greatest quality meat and the animals were most likely kept in confined areas indoors (hardly natural). So with all that said the best thing to do is buy your meat from local farmers , ask if the beef is 100% grass fed and 100% grass finished, and if the poultry is pastured (able to go outdoors and eat a natural diet of bugs/worms). It shouldn’t be this difficult , don’t ya think! I go to Costco every weekend and I love it! I buy brown rice, oats, fruits and vegetables, almond milk, Salmon. I also found a Quinoa and sprouted rice blend that is awesome, and I’ve gotten some Organic baby food in bulk which is so much better than paying $2 a pouch. (yes I know you can make baby food but ain’t nobody got time fo’ dat) LOL But really I believe they are offering a lot of healthy food choices, and have been surprised to see alot of healthy things in peoples carts versus at a supermarket. It makes me feel like people are really coming around to eating healthy and perhaps the big chains are finally seeing the need. Yes Costco is really coming around! They will stock what people are buying. I have been noticing many more healthy items to!